Having crashed for a few days after my latest road trip I am refreshed and ready to get to work. 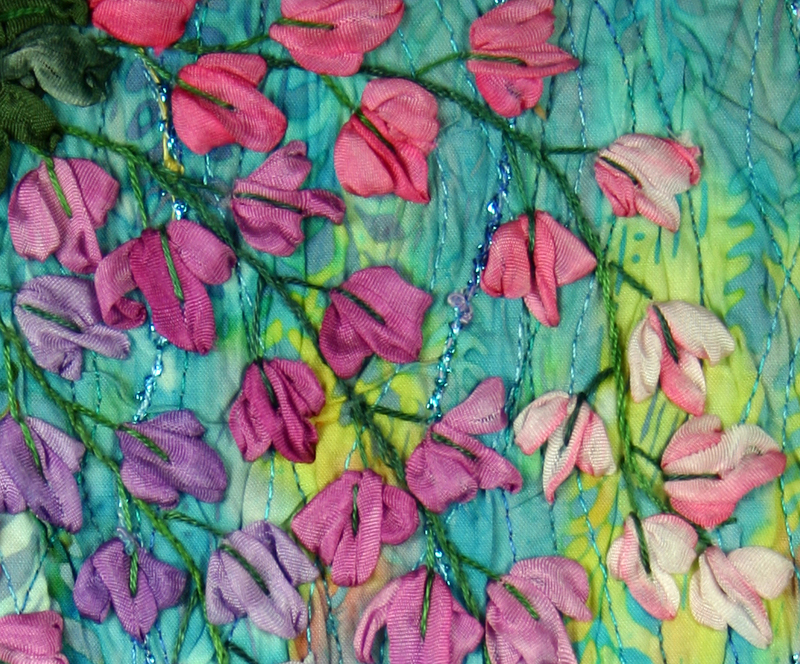 Todays Twilt is “Wisteria”, silk ribbon embroidery on crinkled fabric with machine stitching and couched glittery threads. The frame of this piece has Cathedral Window corners. I have some ideas for more complex Cathedral Window corners coming up in future twilts. 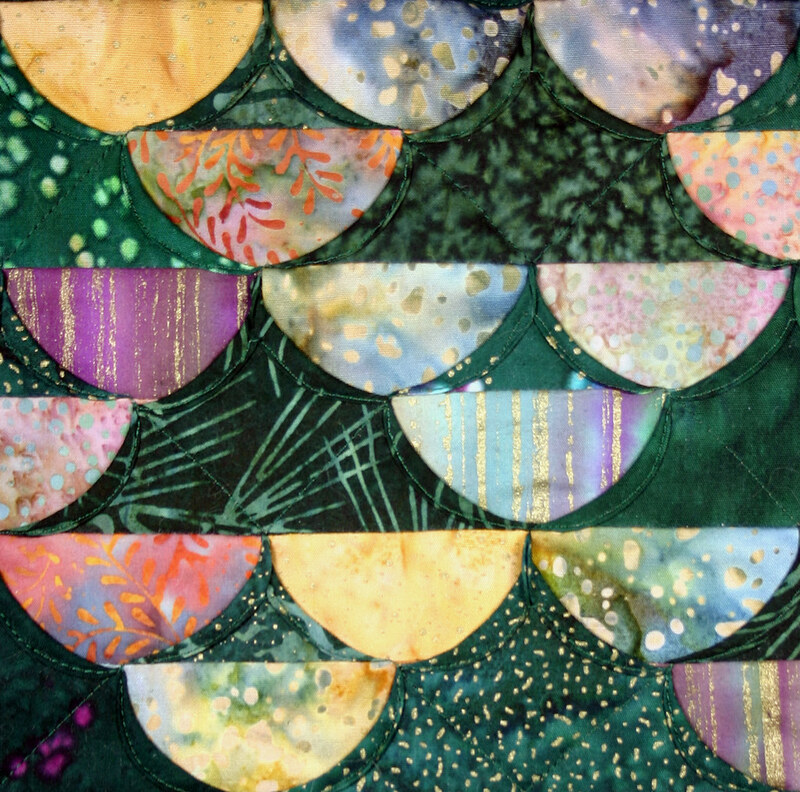 The silk ribbon I used is from my collection of ribbons that I painted and dyed a while back. 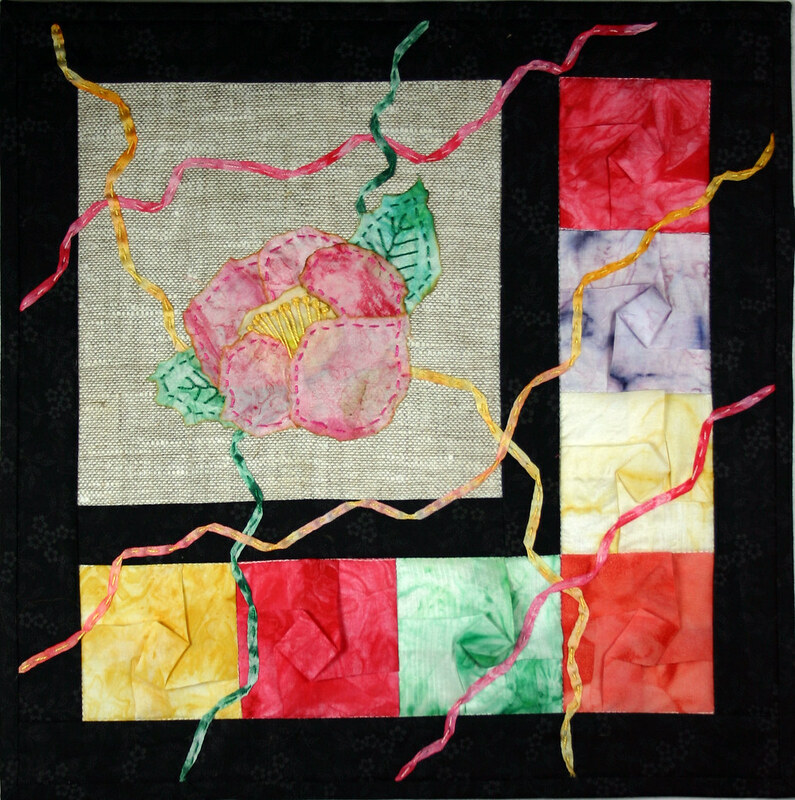 I have really enjoyed revisiting the silk ribbon work that I enjoyed so much in the past. Expect to keep seeing more. I was up at the Central Coast Shop Tour this weekend and ran into lots of friends and made some new ones. I got to meet a couple of Tweeps (friends from Twitter) even. 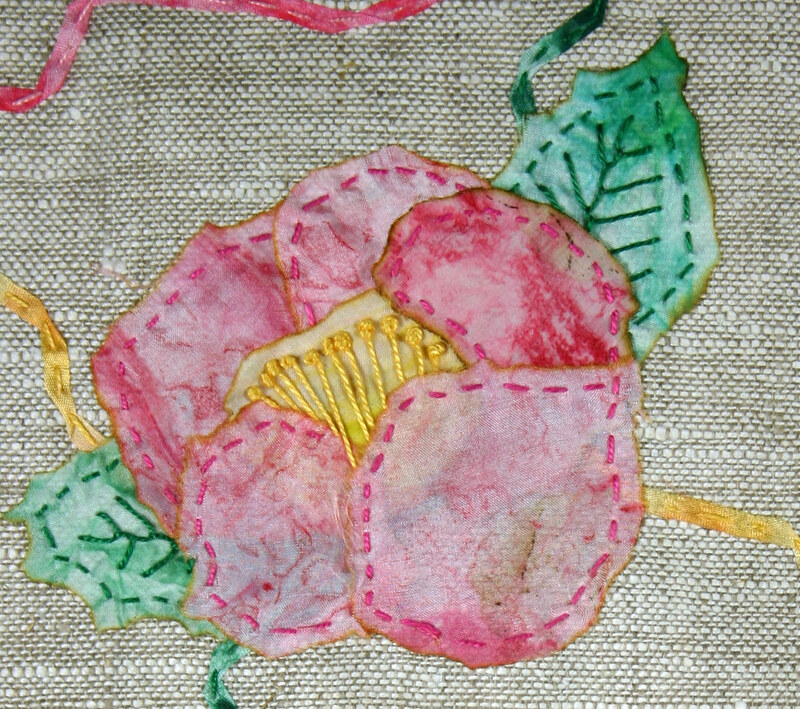 A student and friend, Judy Hines, brought in a small piece that she made in one of my classes in September of 2005. Its called “Stars for Rick” in memory of her son. It’s a Cathedral Window with a 9Patch layout. 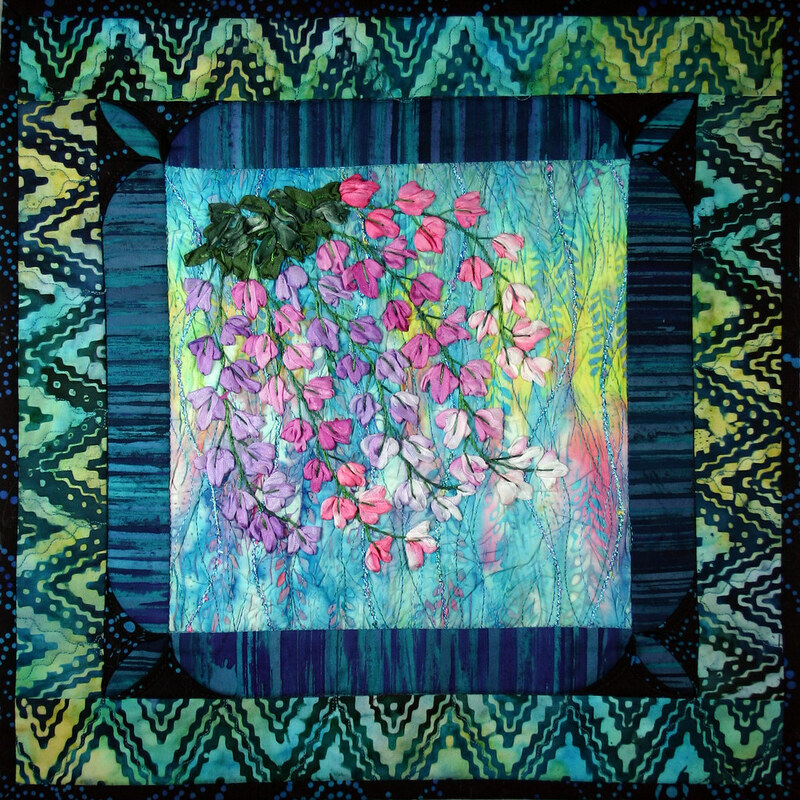 The high contrast used with the frame fabrics makes the nine frames stand out and the grid and scallop finish makes the frames look like stars. 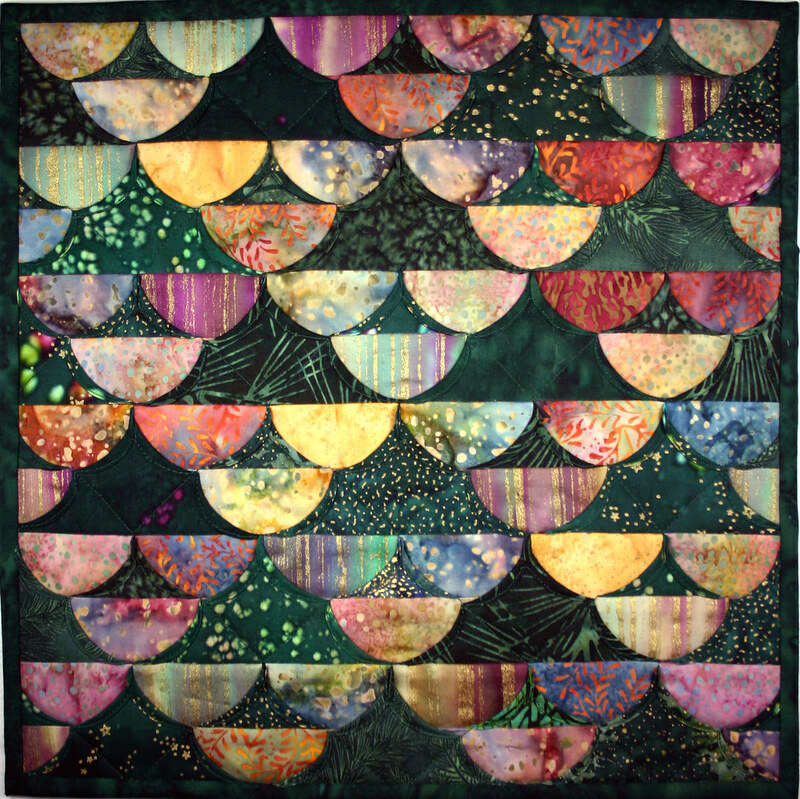 Judy has taken lots of classes with me and I was so thrilled to get this picture and show everyone her quilt. Thank you, Judy. I know it’s Twilt Tuesday and my Twilt isn’t finished since I have been on the road for a week and will be in San Diego for the next couple of days but I will post it on Friday if I can, so check back then. The colors in this Twilt are just fabulous. I couldn’t have been happier. They just seem to glow. 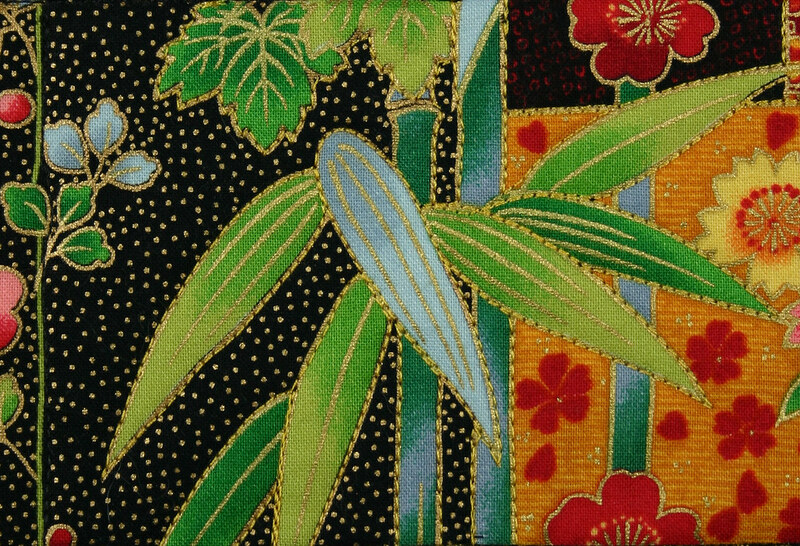 I plan on making a larger version of this pattern in the future. I have wanted to try this design for a while and a Twilt is the perfect way to test it. 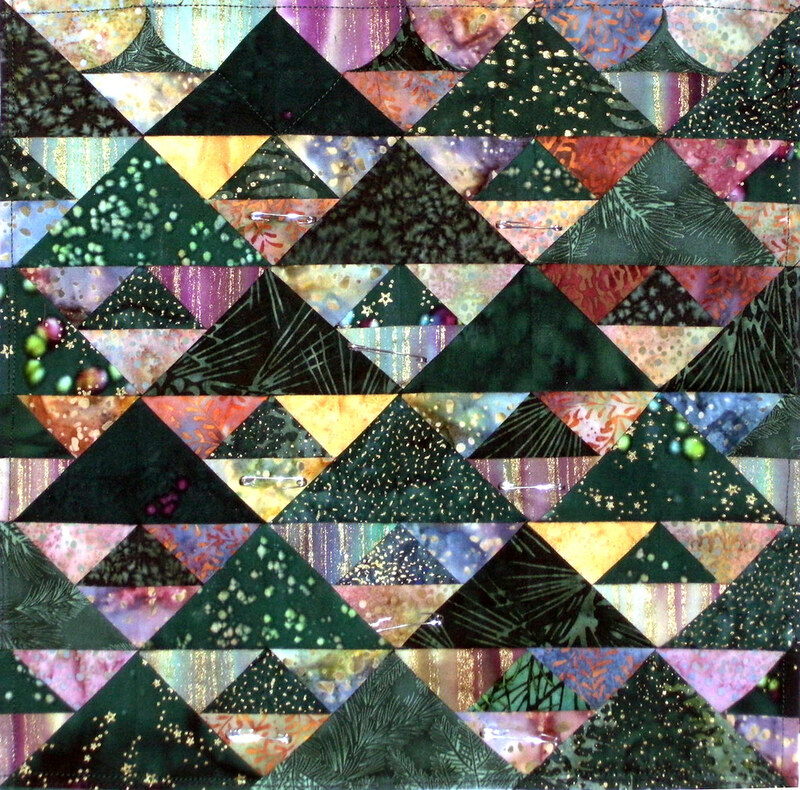 Two different sizes of 3D triangles were used to create “Trees” . I am reminded of the mountains and forests in the late summer or even fall. The picture below shows what the piece looked like before I rolled the bias folds of the triangles. 3D triangles can be used without rolling the folds because they are already finished bias edges. I often pause at the construction stage because most of my designs could be used with out the rolling. 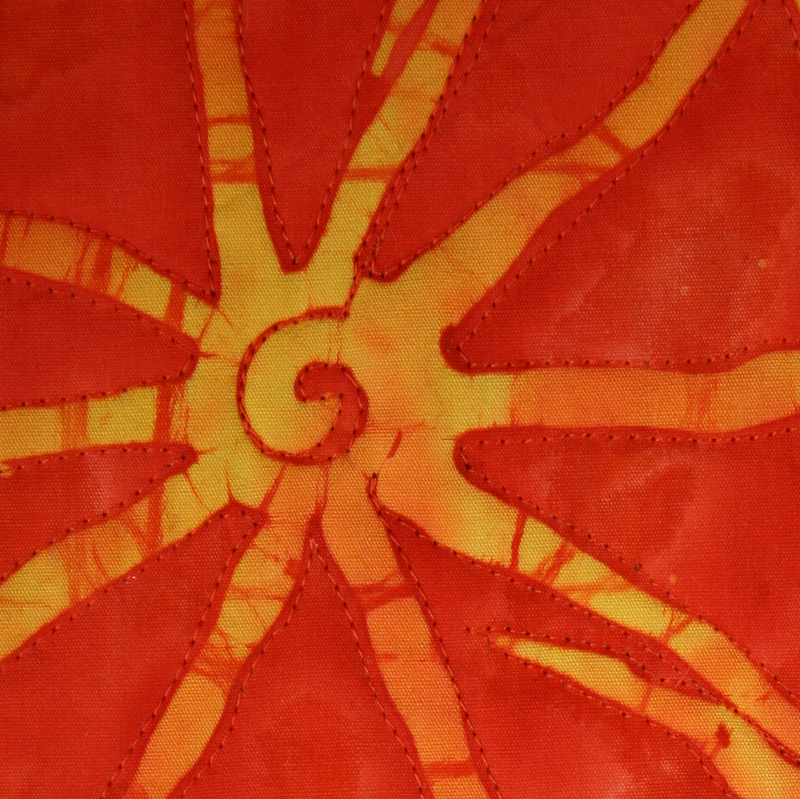 Still, the curves add another dimension and so I go ahead and roll and stitch. 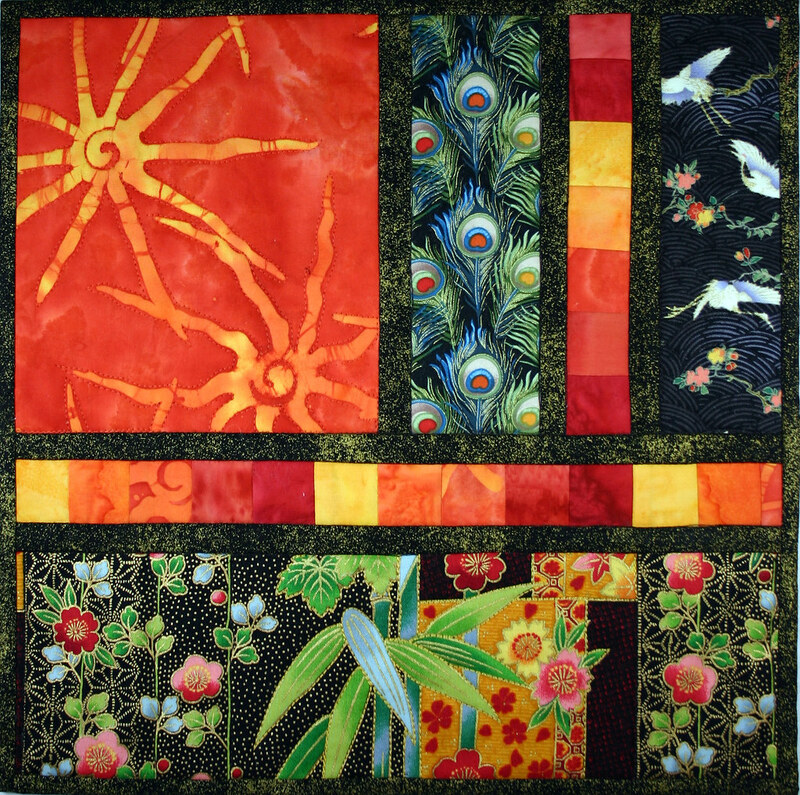 As you read this I am on the central coast of California for the Central Coast Quilt Shop Tour. 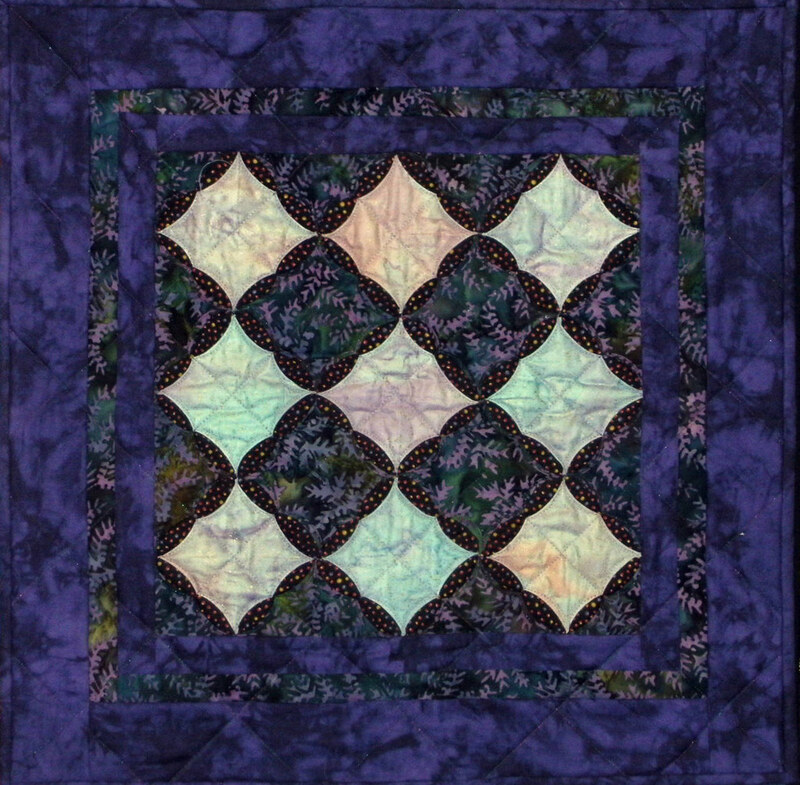 I will be demoing my technique at The Quilt Attic after nursing my adult daughter after she has her tonsils removed. Ouch!